Deirdre McCann is Professor of Law at Durham Law School. Her research is in the field of labour law and policy at the domestic, EU and international levels. Her work has a particular focus on the regulation of precarious work, the measurement and comparison of labour law regimes, and the influence of state norms in low-income settings. Her publications include Regulating Flexible Work (Oxford University Press 2008) and Creative Labour Regulation (Palgrave 2014). Professor McCann is a former official of the International Labour Office (ILO) in Geneva. She is a co-founder of the international research Network on Regulating for Decent Work, a member of the Editorial Board of the Industrial Law Journal, and on the Advisory Committee of the Labour Law Research Network. 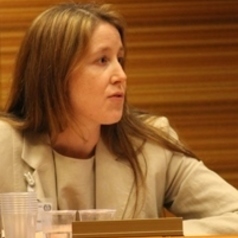 She has substantial experience in advising international policy actors, governments, and civil society organisations on labour law and policy, including as an independent expert to the European Commission on the revision of the EU Working Time Directive and to the International Labour Organization on the Domestic Workers Convention, 2011 (No 189). In 2015, Professor McCann was awarded a Leverhulme Research Fellowship for her project on Creative Uncertainty? Labour Market Regulation in a World of Doubt. She leads the ESRC Global Challenges Research Fund Strategic Network on Legal Regulation of Unacceptable Forms of Work.